Homemade pasta is a real treat. It may take a bit of skill and determination to make, but it truly is worth the reward. 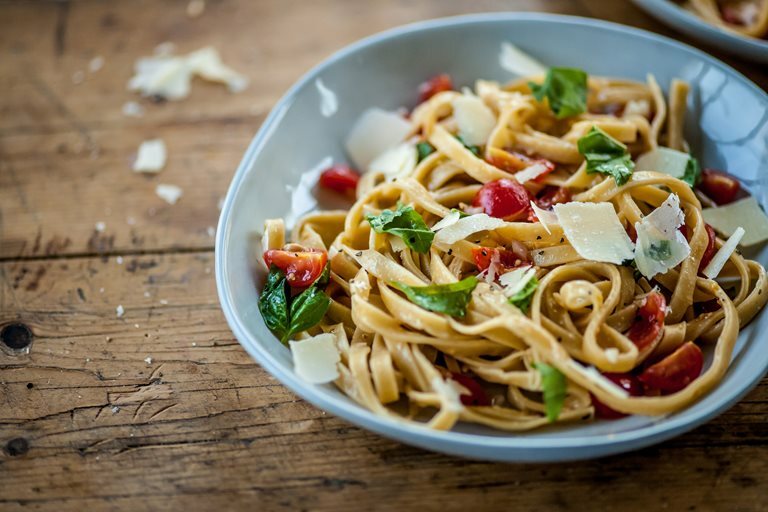 Follow this recipe from Josh Eggleton to make a batch of tagliatelle, pairing simply with tomatoes, shallots and Parmesan. If you are preparing the dish for a vegetarian, replace the Parmesan with a different cheese, free of animal rennet.